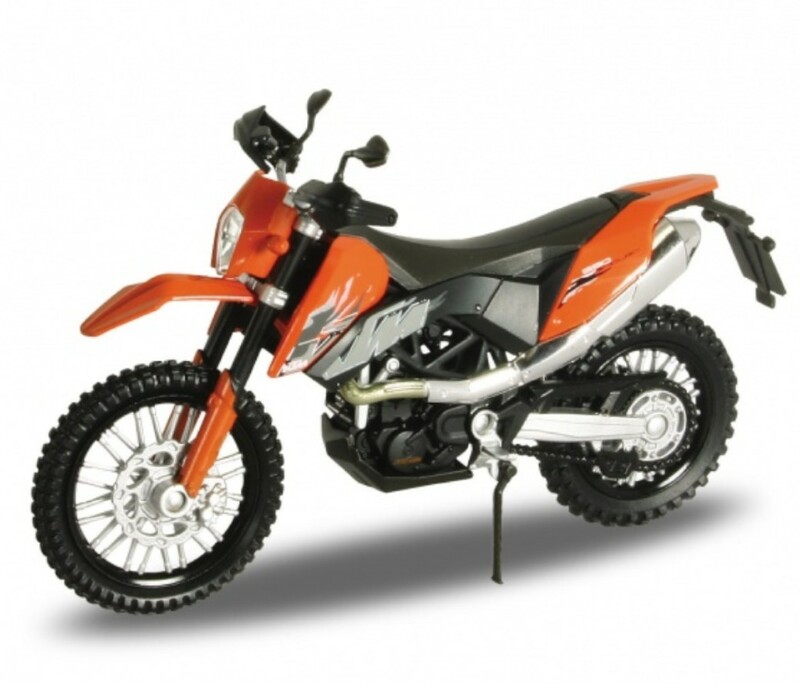 1/18 scale diecast model of KTM 690 ENDURO Motorcycle by Welly. Item packaged in a window box, 12pcs per inner box, 48pcs per carton. Detailed exterior, matching rubber tires.